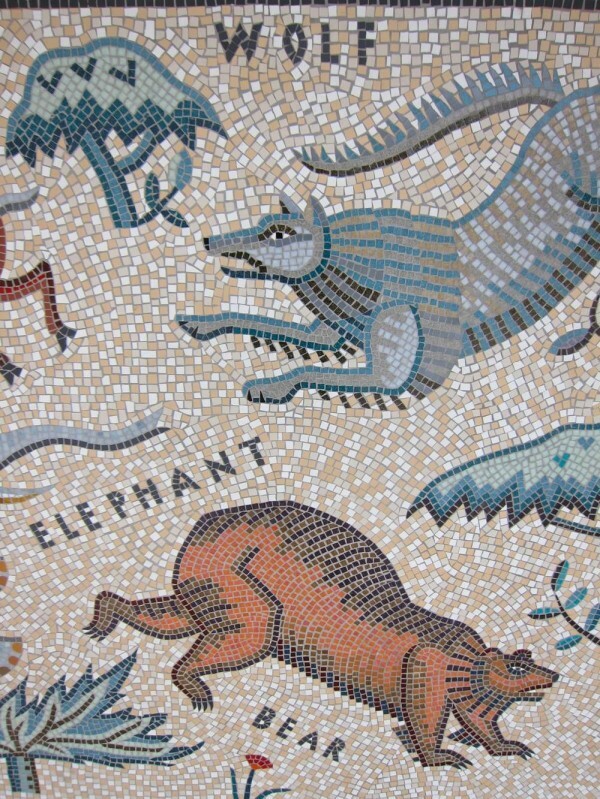 You recall my friends the Mosaic Makers, who I have been following over the past year, since their triumph with the murals at Shepherdess Walk and at Pitfield St in Hoxton, and more recently up on Hackney Downs, where they have just completed their magnum opus - covering the entire open air theatre with a vast lyrical tableau of wild creatures. 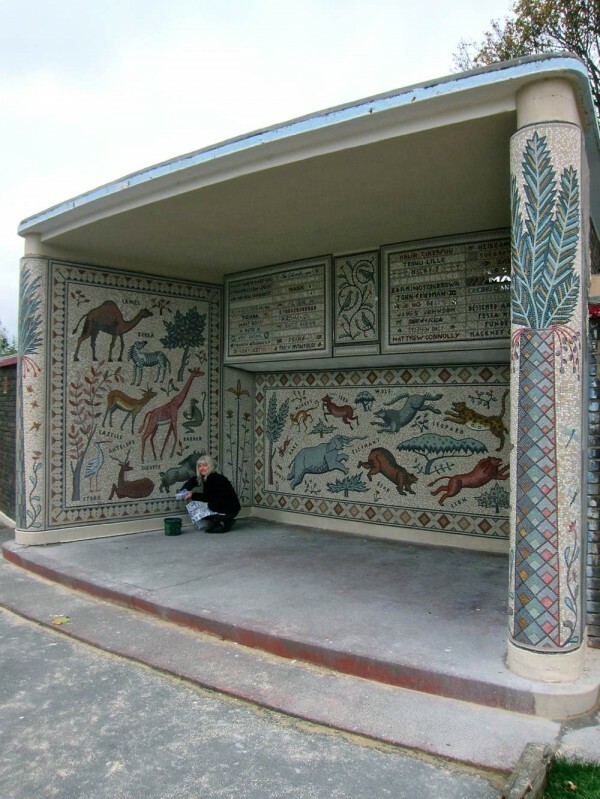 Now their work has received just recognition with the award of Mosaic of the Year by the British Association for Modern Mosaic. 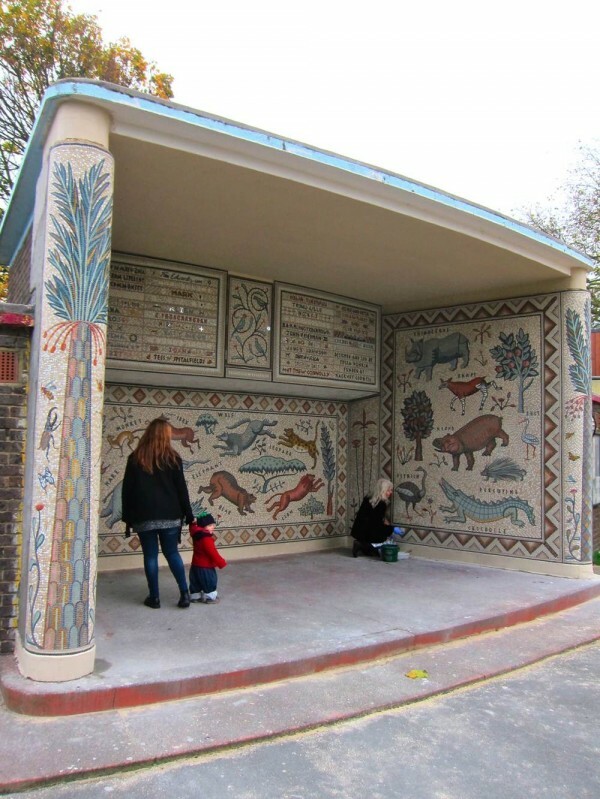 Yesterday, I went up to Hackney Downs to congratulate Tessa Hunkin, the inspirational designer and team leader of the project, while she applied the finishing touches of grouting in advance of the opening celebration from 2-4pm this afternoon. 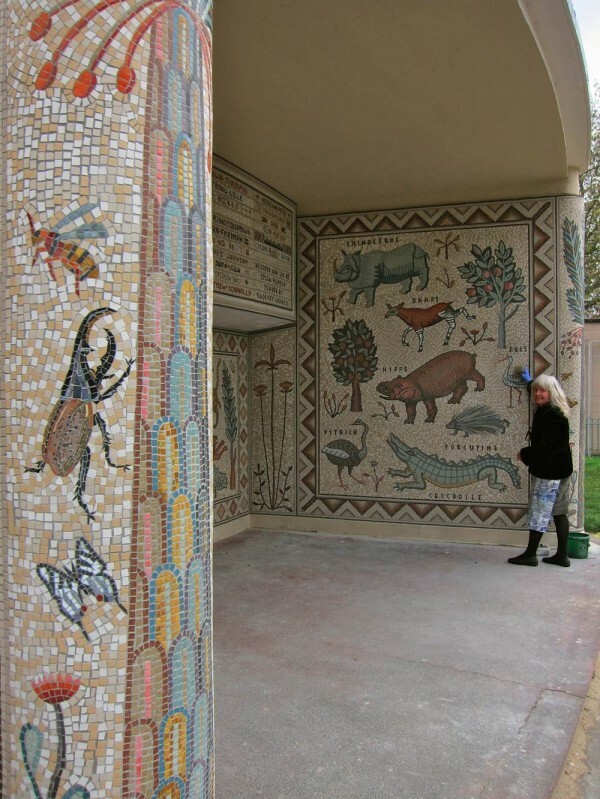 Refreshments will served in the Park Pavilion which functions as the Mosaic Makers’ workshop and there will be a chance to view individual works by members of the team. This will be followed by an official opening by Councillor Jonathan McShane, with a display of model parrots and a performance in the theatre by young people from the nearby Nightingale Estate. 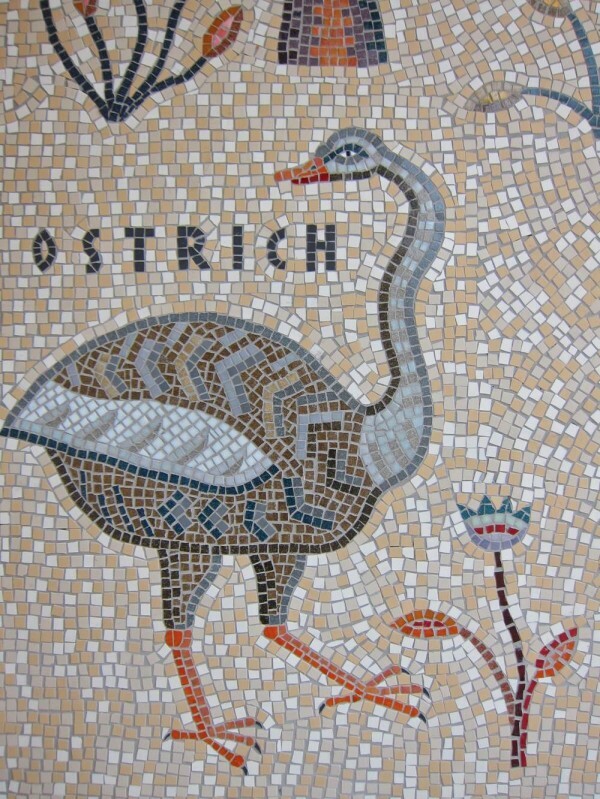 Now the Mosaic Makers have developed their expertise and established their workshop, they are eagerly looking for their next project in the East End. 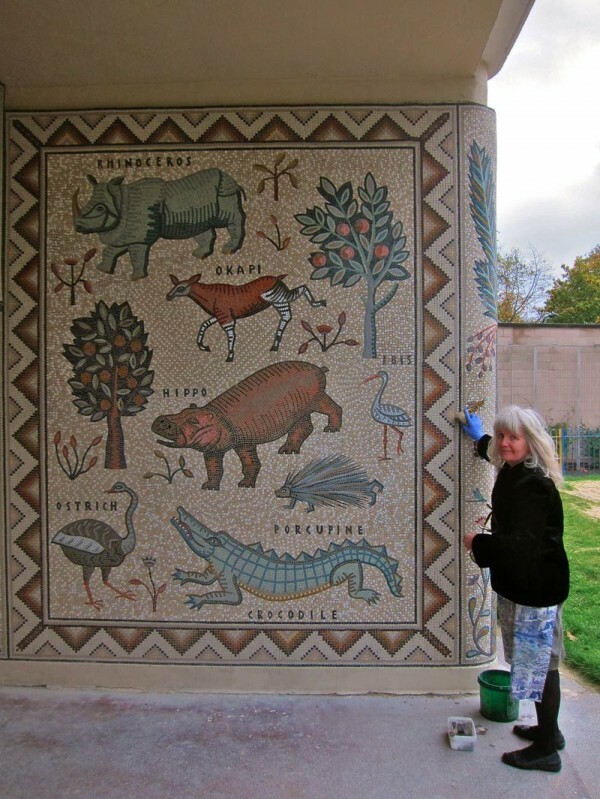 “We like to do big mosaics, it inspires us to work on an epic scale,” Tessa admitted to me recklessly. 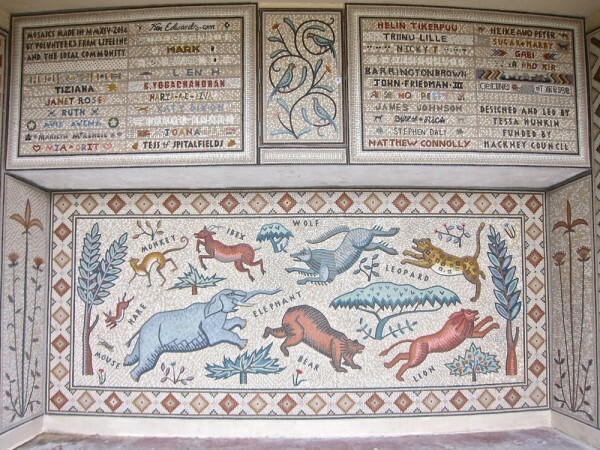 So the burning question is – Who want to commission the Mosaic Makers next? 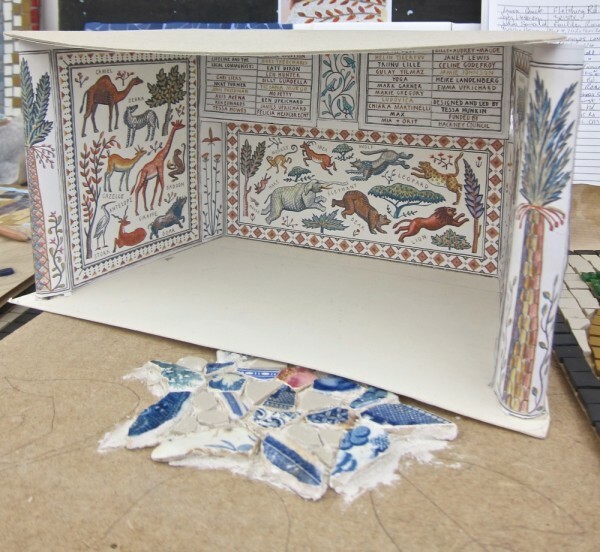 What a creative and imaginative work! Congratulations! These are truly impressive and fun too!! 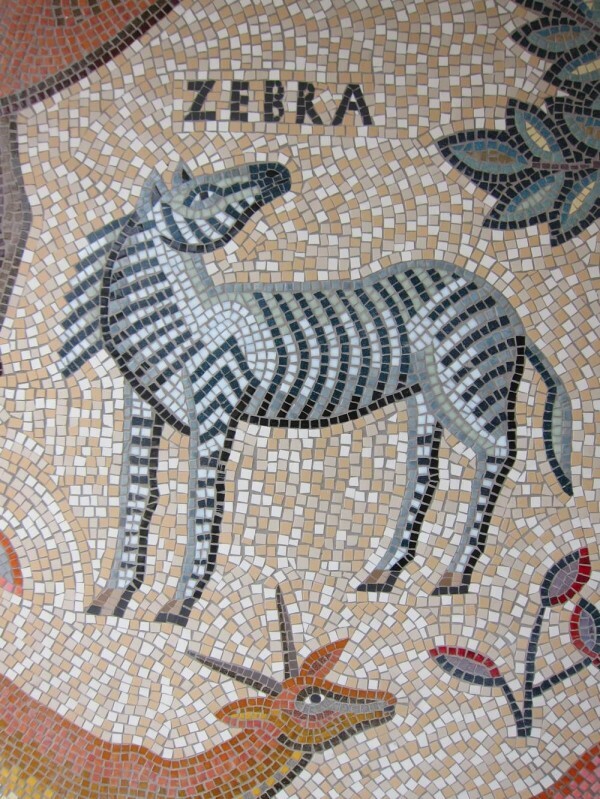 Hope the order for the next big mosaic comes soon. What intricate detail, to make the quills of a porcupine is fantastic and also the fine detail of the flowers and insects. 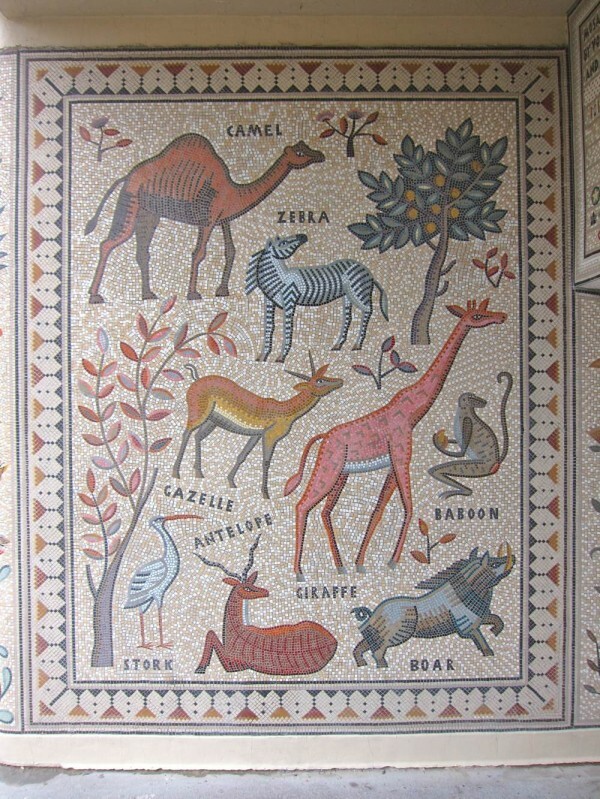 Congratulations of a work worthy of an arts prize. Those are gorgeous! 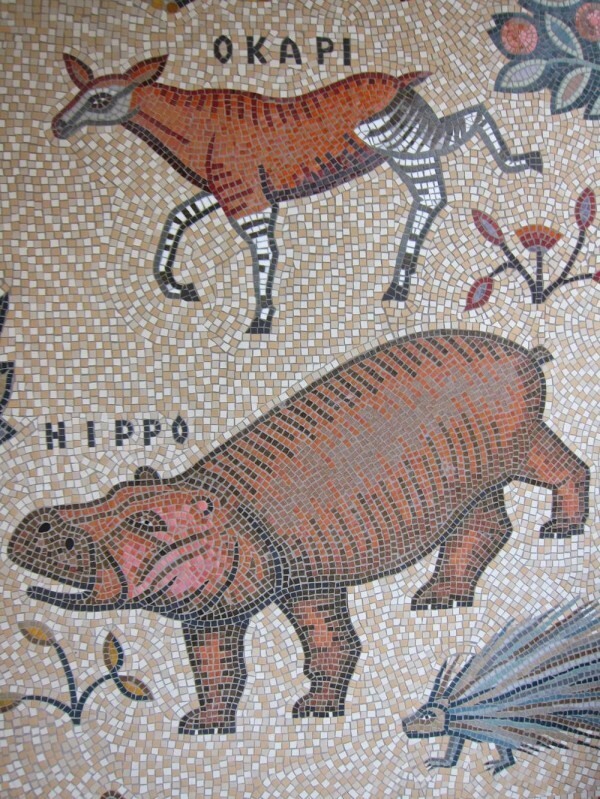 I’d think that many a lobby would want to have mosaics like those in the foyer. Wow! Looks so beautiful. And I look forward to seeing it for myself.